The Vacation bench of the Supreme court, comprising Justices Abhay Manohar Sapre and Ashok Bhushan, today directed the Rajasthan Government, in the case of State of Rajasthan vs Jafru (Criminal Appeal 36/2008), to serve summons on the respondent-accused in person, in accordance with S.62 of CrPC. "Steps be taken to enable the service to be effected", the bench noted in its brief order. When the matter came up for hearing today as item 104, the bench wondered why no one appeared for the accused, even though the case is almost 10 years old. "We can't convict a person, without hearing him", the bench told the state Government's counsel who claimed that the notice was served on one of his family members. The bench then read S.62(2) of CrPC which said that the summons shall, if practicable, be served personally on the person summoned, by delivering or tendering to him one of the duplicates of the summons. When the counsel cited S.64 of CrPC, the bench said, only if the accused is not be found, the summons can be served on another person. LiveLaw has found, however, that S.64 CrPC exhibits its gender bias rather crudely. It says: "Where the person summoned cannot, by exercise of due diligence, be found, the summons may be served by leaving one of the duplicates for him with some adult male member of his family, residing with him, and the person with whom the summons is so left shall, if so required by the serving officer, sign a receipt therefor on the back of the other duplicate. An explanation to this section says a servant is not a member of the family within the meaning of the section. A question which this provision raises is whether it discriminates against the female member of the accused's family, by disqualifying her from receiving the summons on his behalf. The bench found that in this case, the summons was served on the accused's mother. 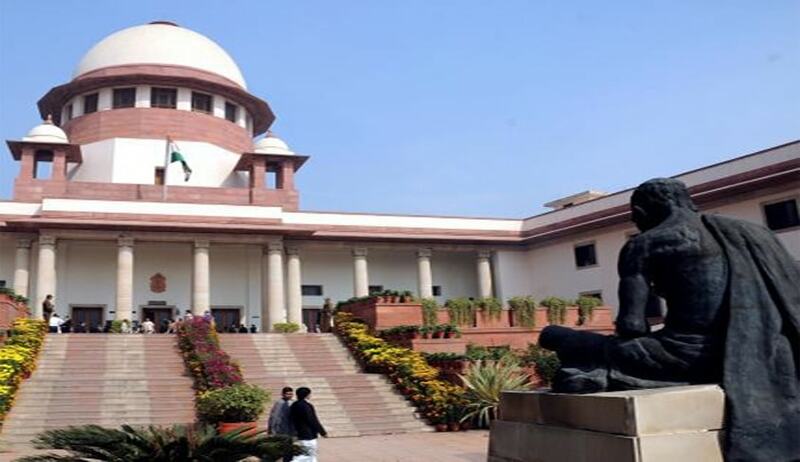 While the bench noted with dismay the fact that the state Government did not personally serve the notice of its appeal on the accused, the gender discriminatory nature of Section 64 CrPC failed to attract the bench's attention. The bench noted that only if the respondent, by exercise of due diligence, cannot be found on the address, then Section 64 would apply. "In our view, it is necessary for the State to serve summons personally on the person summoned", the bench observed.